Fill out the form below with the details of your event to schedule a showing or book the space! 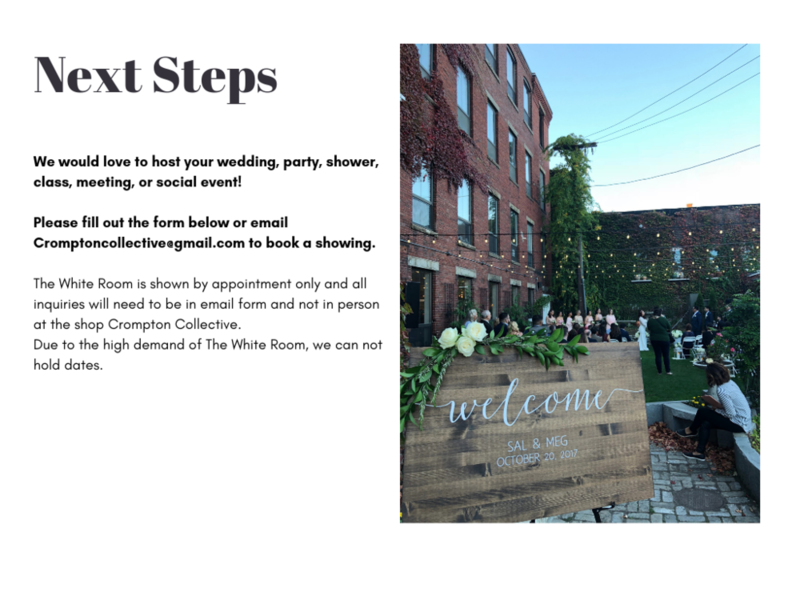 *The White Room is shown by appointment only and all inquiries need to be in email form and not in person at the shop Crompton Collective. Due to the high demand of The White Room, we can not hold dates. Email cromptoncollective@gmail.com to make an appointment. *Parking lot is located at 24 Assonet St. Public Parking lots are located on Green St. and Water St. The dirt lot behind Crompton was purchased and is under Construction till 2019... to become The Worcester Public Market.